Slipping away from home to far away honeymoon spots is mainstream, but you’re not a mainstream type of person. You want to slip away for your entire wedding experience, and you may even bring all of your loved ones along for the trip. That means that you need to select a destination wedding and honeymoon location that fits your personality, your vision for your wedding day, and your budget. The following 10 options are worth your consideration. Mackinac Island, Michigan: Motorized vehicles aren’t allowed on this island, and you can bike across the entire thing in a leisurely afternoon. The architecture and lazy atmosphere will take you back in time, and there’s nothing like departing your wedding ceremony in a horse-drawn carriage. Haiku Mill, Maui, Hawaii: You don’t have to plan a beach wedding if you want to honeymoon in Hawaii. This old sugar plantation creates an elegant backdrop for a wedding ceremony while keeping you close to the beaches and other attractions for a fun honeymoon. Sea Island, Georgia: The masterminds operating this honeymoon spot came up with an unbeatable way to prevent crowds of tourists from overtaking their beautiful island. They set a rule that you can’t visit at all unless you’re a guest at one of the island’s two resorts. This makes it a great place for a destination wedding, and it doesn’t hurt that the blue waters and sandy beaches feel very similar to the Caribbean. Costa Rica: While you can have a beautiful beach wedding here, you also have the option to plan something a little more unusual. How about saying “I do” in the rain forest? 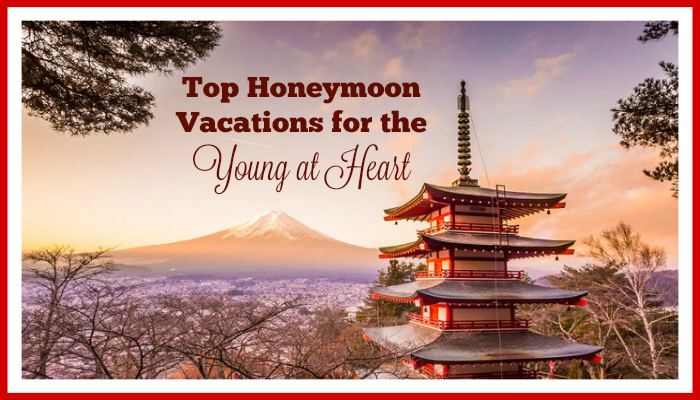 What about honeymooning near a volcano? The options are virtually endless, and you can plan an affordable trip to many Costa Rican locations. Outer Banks, North Carolina: This collection of barrier islands will give you the option of where you want to hold your wedding and spend your honeymoon. Wild horses are on the run, and the beach expands for more than 130 miles. Each island has unique natural features and activities, making this an ideal destination wedding spot in the spring and summer. Anguilla, Caribbean: You have to take a boat to get to this island, but once you arrive, there’s no end to the pampering that you can receive at one of the resorts. Some of the most beautiful beaches are found on this tiny island, and you can enjoy activities like swimming and snorkeling. Maui, Hawaii: You could choose about any Hawaiian island and it would make a great honeymoon and wedding spot, but this one is particularly beautiful due to the inclusion of waterfalls. It also has a reputation for displaying a lot of rainbows, so you may get lucky and catch one in your wedding photos. Florida Keys: Many couples head here for their honeymoons, but you can arrange some unique vow ceremonies if you do your research. For instance, you can have an underwater ceremony in Key Largo. Turks and Caicos, Caribbean: There are 40 islands at this honeymoon and wedding hot spot, and you can take a direct flight to some of the most popular inhabited islands. This is a great location for sunset weddings, and you can catch great weather even if you’re planning a winter wedding. Barbados: Head to the West Indies for warm weather and stunning beaches every month of the year. This is often considered an alternative to a Caribbean honeymoon and wedding because it features a tropical environment with clear blue waters. 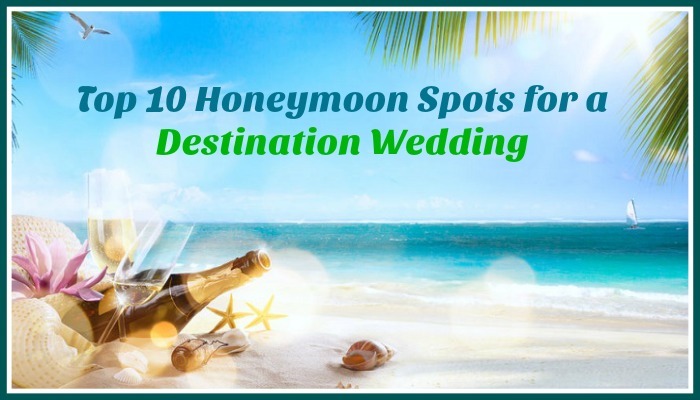 Before you settle on one destination honeymoon spot, determine how many people you will bring along. You want to make sure that the local venue can handle your party, whether you’re going to a smaller hotel for an intimate setting or a sprawling resort with hundreds of rooms and a long list of amenities.